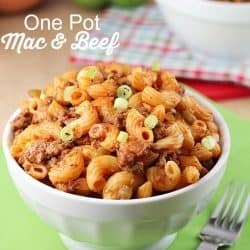 Oct 28 By Jen Leave a Comment This post may contain affiliate links. Halloween is one of my favorite holidays! What’s not to love about a holiday where you get to dress up as whatever you want and get candy?! I also love that it’s the first big holiday of fall. It ushers in the rest of the holidays that I love (aka Thanksgiving and Christmas 😉 ). Also, the weather is finally starting to cool down and you get to decorate your house with all the cute Halloween decorations. 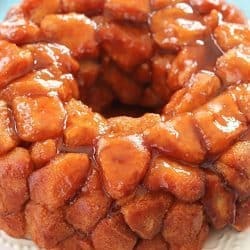 And then of course, all the fun foods that you can make to celebrate the holiday! 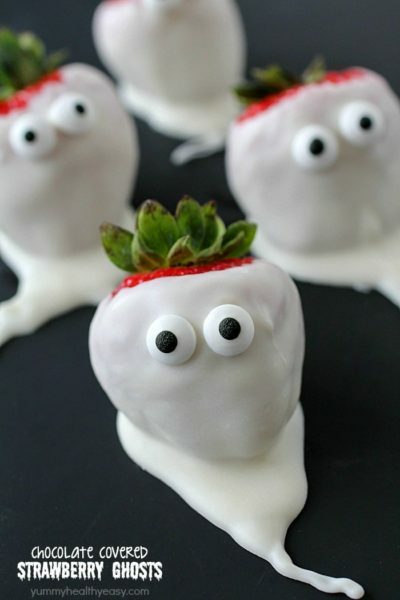 Is it any surprise that the food is my favorite part of Halloween? 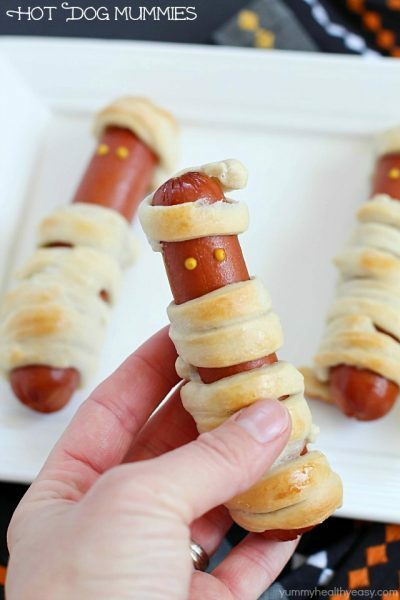 Treats with candy corn, food shaped like mummies and fake spiders decorating something yummy. 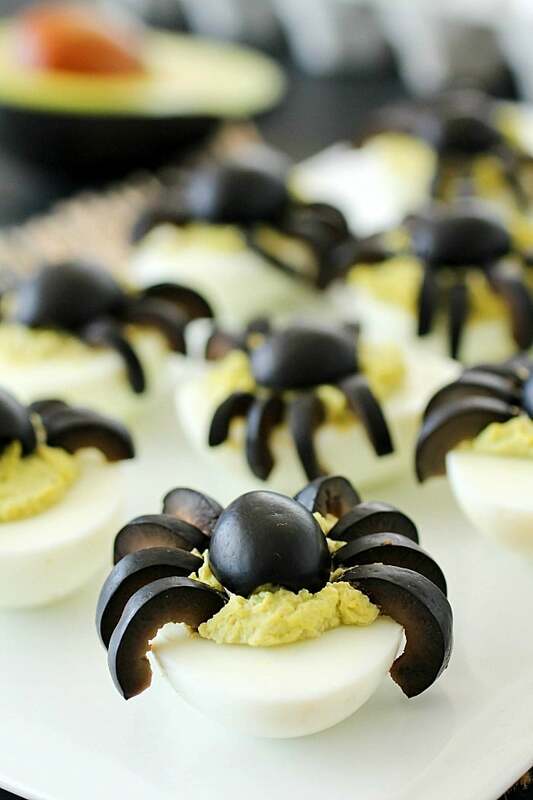 These avocado deviled eggs with spiders are a spooky treat that’s sure to please! My mom makes the best deviled eggs. No joke, she’s known for it. 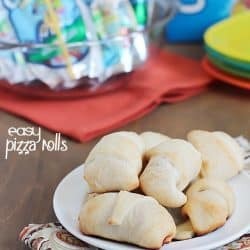 They’re requested at every family function. I took her simple recipe and tweaked it a bit by adding California Avocados to make the deviled eggs green. California Avocados may not be widely available right now but a number of growers sell them online. They have a list of those growers located here. 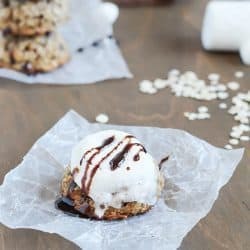 They are definitely worth the effort to get! I love how the California Avocados make these deviled eggs green. It’s much more fun for Halloween than boring yellow. 😉 Plus it adds a yummy avocado flavor to the eggs. 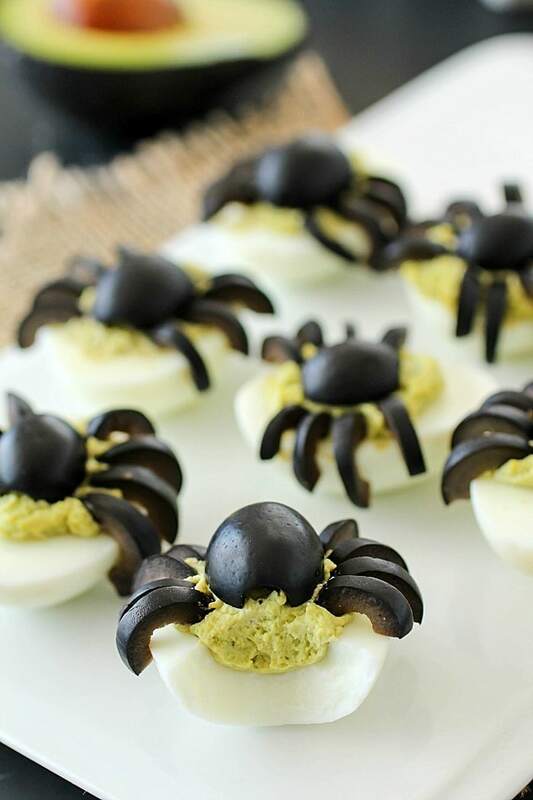 The spiders are simply made from cut up black olives. Aren’t they cute? Or maybe they’re spooky? You be the judge! 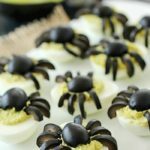 Either way, these spider avocado deviled eggs are a fun appetizer perfect for your Halloween party. 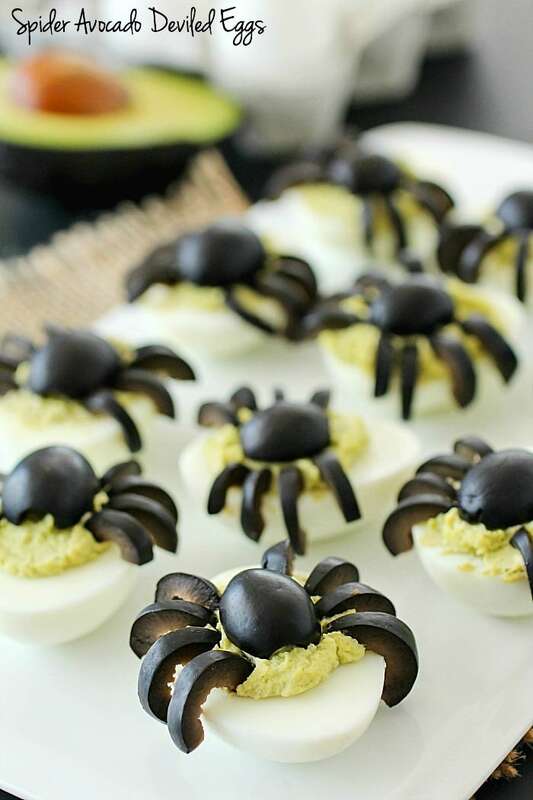 Your party guests will love these creepy crawly olive spiders on top of ghoulishly green avocado deviled eggs! Hard boil your eggs and rinse with cool water. When cooled, peel off shells and cut each egg in half. 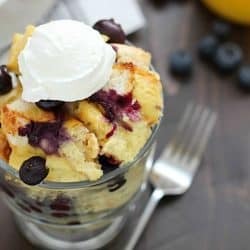 Put each egg yolk half in a food processor. 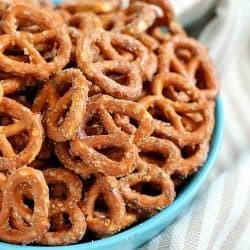 Mix in avocado, salt, mustard, pepper and mayonnaise. Puree until creamy. 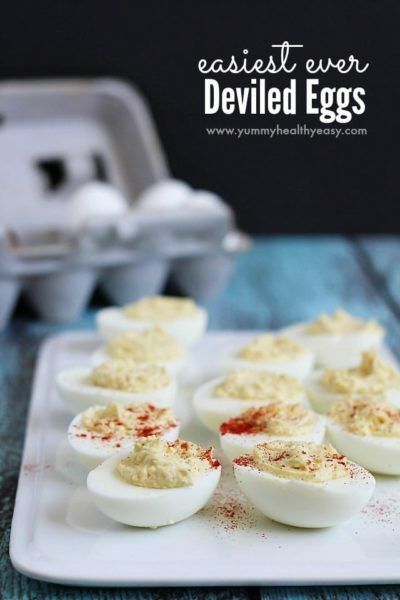 Fill eggs with with creamy yolk/avocado mixture. Slice olives in half lengthwise. Place on the top of the avocado mixture for the spider body. 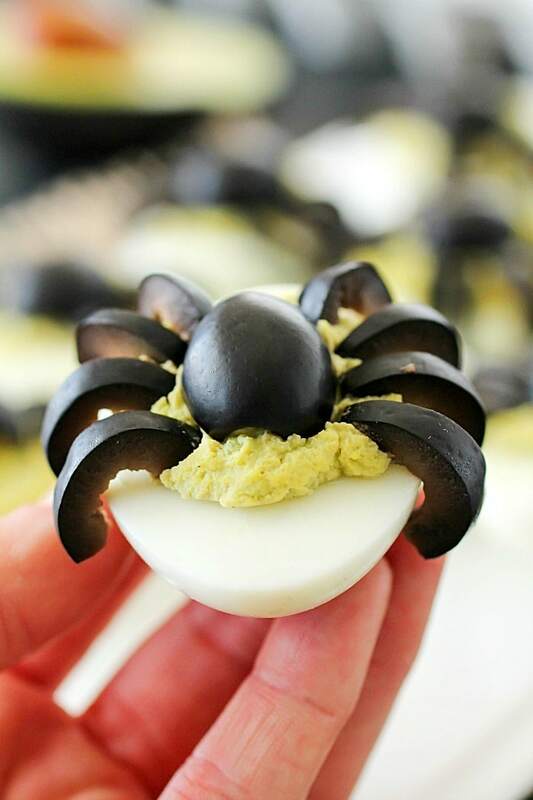 Slice more olives in half lengthwise and slice into small slivers for the spider legs. Push into the side of the spider body.